DESCRIPTION Bromelain supplies 5,000 m.c.u (milk clotting units) per capsule. Milk clotting units are a unit of measure of enzymatic activity. DESCRIPTION RxLink Bromelain supplies 5,000 m.c.u (milk clotting units) per capsule. Milk clotting units are a unit of measure of enzymatic activity. 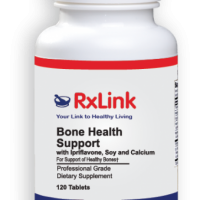 FUNCTIONS RxLink Bromelain is obtained from the lower stems of the pineapple plant. 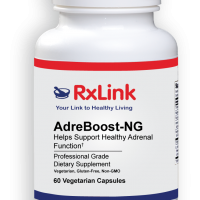 It is a combination of enzymes that have shown to support healthy inflammatory response. It reduces the production of pro-inflammatory prostaglandins by modulating the arachidonate cascade. Its enzymatic activity may reduce the discomfort associated with injuries. Bromelain also acts to help prevent allergens from crossing the gastrointestinal tract and assists in the breakdown of large macromolecular protein complexes. 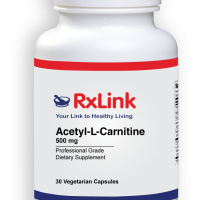 This reduces the chance that these complexes will leave the stomach untouched or in large fractions retaining their recognizable antigenic form that could pass through gastric or intestinal lesions thereby inducing an allergenic response. 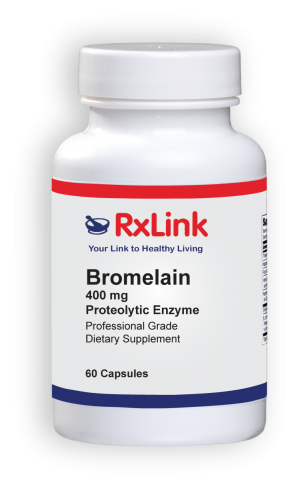 INDICATIONS Bromelain may be a useful dietary adjunct for individuals wishing to supplement their diets with bromelain. Other Ingredients: Gelatin, glycerin, water (capsules) (May contain one or more of the following: cellulose, magnesium stearate and silica.) *GDUs (Gelatin Digesting Units) measure the digestive activity of an enzyme ingredient. This product contains NO added sugar, salt, dairy, yeast, wheat, corn, soy, preservatives, artificial colors, or flavoring. 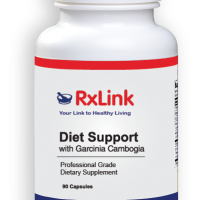 SUGGESTED USE As a dietary supplement, adults take 1 capsule after each meal, or as directed by a healthcare professional. REFERENCES Ako H, Cheung A., Matsura P. Isolation of a fibrinolysis enzyme activator from commercial bromelain. Arch Int Pharmacodyna 1981;254:157-167. Felton G. Does kinin released by pineapple stem bromelain stimulate production of prostaglandin E1-like compounds? Hawaii Med J 1977;36:3947. Rimoldi R, Ginesu F, Giura R. The use of bromelain in pneumological therapy. Drugs Exp Clin Res 1978;4:55-66. Taussig S. The mechanism of the physiological action of bromelain. Med Hypothesis 1980;6:99-104. Batkin S, Taussig SJ, Szekerezes J. Antimetastatic effect of bromelain with or without its proteolytic and anticoagulant activity. J Cancer Res Clin Oncol 1988;114:507-508.